Boulder Reporter » Verizon, Can You Hear Us? Verizon, Can You Hear Us? We pay a premium price for cell service, and as of late last spring, our area can’t connect. If your cell phone carrier is Verizon Wireless and, like me, you live in a Gunbarrel or Heatherwood neighborhood — or even if you’ve just driven through — chances are, your call has been dropped. And dropped. Then dropped again. That’s if you’re lucky. The rest of us speak to listeners who can’t really hear us as our calls cut in and out, leaving us on the line but with no choice but to hang up. Many residents have to get in their cars and drive to find a signal, or wear a tin foil hat in a single, magical location outside to make a call. It’d be quaint if it weren’t so debilitating. These are neighborhoods, not remote getaways. Like so many of my neighbors, I work from home, which makes my cell phone an integral tool. Not being able to have even a brief conversation makes conducting business incredibly difficult, if not impossible. Note: If you want to skip from tier one to tier two, call (866) 221-4096. Also, you can use this link to “directly” email Tami Erwin, Executive Vice President, Wireless Operations, with your complaints and your demand that something be done. On tier two, you’re treated to the same song and dance, but it’s delivered with more authority, and perhaps an offer to discount your extender purchase or even send it to you for free. 1) Our area is in a valley. 2) Our area is at max capacity for the towers that support this valley. This news makes sense, given that the Gunbarrel area alone saw more than 525 living units completed and filled in the last year and a half alone. 3) The tower that provided minimal coverage to you was redirected to accommodate the increased traffic generated by new developments. Is this a capacity issue or a signal issue? I believe it’s clearly the latter. Capacity is the number of calls that can be carried in a signal area; what we’re experiencing is a low signal. We could have all the capacity in the world, but if you don’t have a signal, you won’t be able to utilize any of that capacity. So where do we go from here? And furthermore, does Verizon have a plan to fix the problem? Many people of the neighborhood have spent countless hours attempting to reach the women and men who can answer these questions — to no avail. Let’s flood the corporate offices with complaints and a community petition. Let’s reach out to government officials and attorneys. Some have suggested selecting a single day to all call and complain, and while I like the idea, I worry about its ultimate effectiveness since, as I’ve already discussed, customer support does not have any real power here. Join me in contacting the city, state, and FCC, all of whom are listed below. Together, we will get their attention. 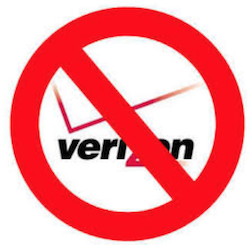 Verizon, can you hear us now? The other issue is overbuilding in the area. If we can’t get services, maybe they should put a hold on building. I live in north Boulder and we have the same problem. I’ve complained for years and finally got a rep who simply admitted that the City of Boulder will not allow more towers in our area (and probably yours too). That seems to be the problem. And, of course, Verizon will not offer a discount since we’re not getting what we’re paying for. They simply said that they would allow us out of our contract with no penalty since they admitted that the service is inferior and that there’s little they can do about it due to the City. Although city planners/managers are lazy and incompetent at representing the interests of the citizens, it’s not an issue of more towers that would provide increased signal strength. These Towers have a radio frequency range of 15 miles or more with line of sight. There is a tower in Gunbarrel and it’s only a mile from my house, in fact I can see it if I stand on my roof, yet I have poor signal strength. Upgrades cost money and Verizon won’t upgrade the capacity of their existing network and The city refuses to pressure them into doing it even with the proposed developments They are not only doing with this service to the 10,000 people that live in Gunbarrel but they are violating their FCC charter and deserve a class-action lawsuit!